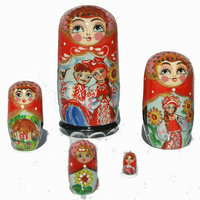 Set of 3 units of national ethnic Russian doll matryoshka, original, made in Russia, height of largest doll is 11 cm. 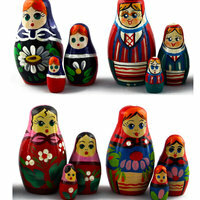 I will send exact model shown on photo. 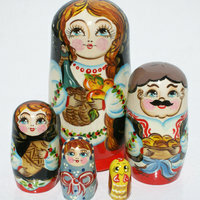 Original art, made in Russia. Christmas decorations are made from a variety of materials. 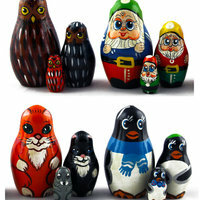 These novel Christmas themed wooden matryoshka ornaments will add variety and beauty to your home/office, etc. 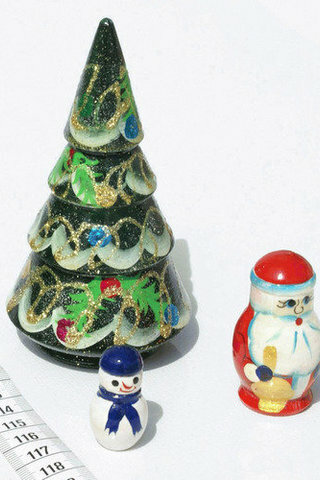 The traditional Christmas tree, Santa Claus and the Snowman are all included in a set. The tree has a festive appearance (gold glitter and other art on a black surface). 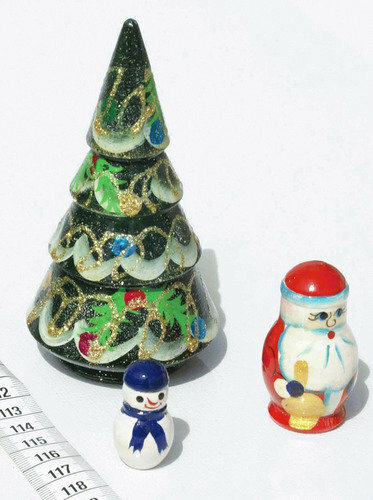 Santa and Snowman are small sized, painted expertly in red, white and blue colors respectively. 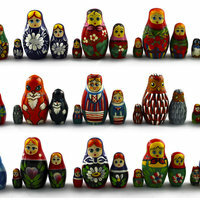 My Granddaughter loves them and spends hour of fun!